Millions of passengers face a new threat of travel chaos as militant rail workers voted in favour of strike action over pay. They rejected an offer by Network Rail of a £500 pay rise followed by three years of increases in line with inflation. Members of the hardline Rail, Maritime and Transport (RMT) union backed the walkouts by 4-1 describing the result as 'overwhelming mandate for action'. The Transport Salaried Staffs Association (TSSA) is also balloting its members, with the result due over the coming week. Transport Secretary Patrick McLoughlin said: 'I condemn any industrial action that disrupts the travelling public. I want to see Network Rail and the unions back round the negotiating table, hammering out a deal. A strike by union members including signallers, maintenance workers and admin staff, would cripple train services. The unions have to give seven days' notice of any industrial action. It gives the Conservative government its first major challenge on the industrial relations front and comes just hours after newly-appointed Business Secretary Sajid Javid promised a crackdown on strikes. The RMT vote was a turnout of 60per cent, beating planned Government thresholds on strike ballots. Rail workers voted by a bigger margin - 92 per cent - for other forms of industrial action. The result will now be considered by the union's executive. RMT general secretary Mick Cash said: 'Our members have decisively rejected the pay package offered by Network Rail. 'This is a massive mandate for action and shows the anger of safety-critical staff across the rail network at attacks on their standards of living and their job security. 'It is now down to Network Rail to start taking this issue seriously, to understand the deep-seated grievance felt by their staff and to come forward with a renewed offer which protects pay and jobs. The RMT and the TSSA are protesting at a pay offer of £500 this year followed by rises matching RPI inflation over the next three years. A no compulsory redundancy commitment will be extended to the end of 2016 as part of the proposed deal. Mr Cash added: 'As far as we are concerned the one-off, non-consolidated, lump-sum payment this year is wholly inadequate and fails to recognise the massive pressures staff are working under to keep services running at a time when the company is generating profits of £1 billion. 'It is our members battling to keep Britain moving around the clock and they deserve a fair share from Network Rail for their incredible efforts. Network Rail bosses said the militant RMT rail union of ‘holding the country to ransom’ and of ‘behaving in a way that will cause untold misery to our passengers and will hurt the economy’. They pointed out that fewer than half of RMT members at Network Rail have voted in favour of strike action. Mark Carne, Network Rail's chief executive, said: 'It cannot be right that the unions can hold the country to ransom in this way. 'The railways are a vital public service and industrial action would have a massive impact on millions of passengers, as well as freight distribution across Britain. It cannot be right that the unions can hold the country to ransom in this way. Mr Carne said: ‘Despite the very clear need to modernise our railways, we have offered a guarantee of no compulsory redundancies for the next two years. The unions have also rejected a number of proposals that would boost productivity, removing our ability to offer them more. The news comes just hours after Mr Javid, who was promoted to his position from Culture Secretary in David Cameron's Cabinet reshuffle, promised tough action against strike laws. Mr Javid confirmed that the Queen's Speech on May 27 will include an employment bill, moving to reduce regulation on business while overhauling strike laws. The Tories will press ahead with changes to the law on strikes which were blocked by the Lib Dems during the coalition which came to an end in last week's general election. With an overall majority in place, the Conservatives can implement their manifesto commitments in full. Mr Javid said there would be 'significant changes' to the rules governing walkouts by trade unions. He told BBC Radio 4's Today programme: 'We've said that there will be a minimum threshold in terms of turnout of 50 per cent of those entitled to vote. 'We've also said that where it comes to essential services, 40 per cent of people need to vote for strike action and we've said we are going to lift the ban on agency staff when strike action takes place. Under the changes, a strike will only be able to go ahead in key public services like health, education, fire and transport if 40 per cent of all members vote in favour of action, and at least half of those who vote back it. At least half of the workforce will have to take part in a ballot for industrial action for it to be legal. Rules on the use of agency workers to replace those on strike will be changed and ballots will be time-limited, to stop strikes taking place based on votes from years earlier. Network Rail is responsible for 20,000 miles of track across the Great Britain on which 4.5million passengers rely every day. Some 9,556 out of the RMT’s 16,000 membership at Network Rail voted in the ballot - or 60 per cent of the total. Of these 7,695 voted in favour of strikes, 1,828 against, with 33 spoilt papers. The yes vote represents 48 per cent of the total eligible to vote, so would have stood under the planned Tory reforms to strike ballots. To add to commuters’ misery, RMT workers on London's Docklands Light Railway have also voted by 4 to 1 to go on strike in a row over pay and conditions. 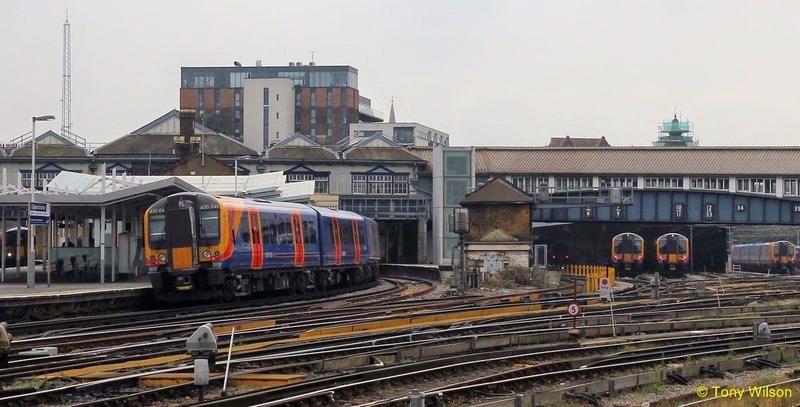 The RMT said it had been involved in extensive talks with DLR operators Keolis/Amey Docklands over this year's pay review and other issues including the shifting of the pay anniversary date.